David Lauter will head coverage of the 2016 presidential race at the Los Angeles Times. He is currently serving as bureau chief for the Tribune Washington News Bureau, including the Los Angeles Times. Lauter has been at the publication for over 20 years, serving as assistant managing editor, California editor, deputy international news editor, deputy metro editor and Washington correspondent. 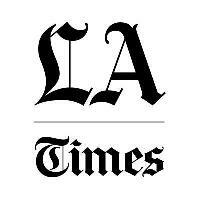 For news from Los Angeles and beyond, follow Los Angeles Times on Twitter.